It's not just genes that are inherited. Chemical tags that affect gene expression levels may be inherited too, a new study published online this week in Nature Genetics reports. Molecular biologist Arturas Petronis and his colleagues at the Center for Addiction and Mental Health in Toronto, Canada compared DNA methylation patterns from epithelial cells inside the mouths of 39 sets of identical and 40 sets of fraternal twins. Compared to fraternal twins, identical twins had more similar methylation patterns, Petronis said, suggesting that these patterns are inherited. The group also wanted to understand why identical twins, who share virtually all the same genes, could still wind up being so different. "One monozygotic twin could develop diabetes or cancer or arthritis, and their co-twin, the genetically identical one, could be perfectly healthy, so this is a fundamental question," Petronis said. 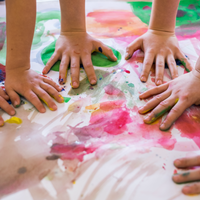 Because twins growing up in one household generally share environmental influences, the researchers hypothesized that epigenetic differences could be a source of variability. They collected samples from three different tissues in a total of 57 sets of identical twins (including the same 39 pairs used in the comparison with fraternal twins). They then used microarray analysis to look at many different locations in the epigenome, not just an individual point mutation. "The entire epigenome is packed with differences in monozygotic twins. It's not 1 [locus] out of a 1000, it's the entire epigenome," said Petronis. While previous work looked at overall changes in the epigenome, this is the first to do a locus-specific analysis. 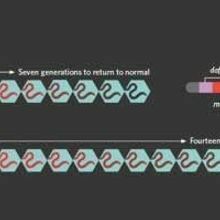 One possible explanation for the differences in identical twins' epigenetic patterns is that small, random changes in methylation accumulate after each cell division, adding up to big differences over the life of an individual. 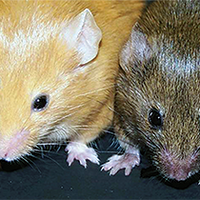 Unlike DNA, which is very stable, epigenetic tags are more prone to change over time. So even though twins may start out with very similar epigenomes, a previous study showed they diverge over time. "The numbers and the genomic regions tested, as a proof of concept, are quite nice," said Bas Heijmans, an epigeneticist at Leiden University Medical Center in the Netherlands who was not involved in the study. "But there's much more to be done. It's really a first step." For example, the study looked at just 1 to 2% of the genome, or approximately 12,000 loci. Petronis next plans to conduct a larger study that uses a bigger sample of twins and investigates the entire genome.